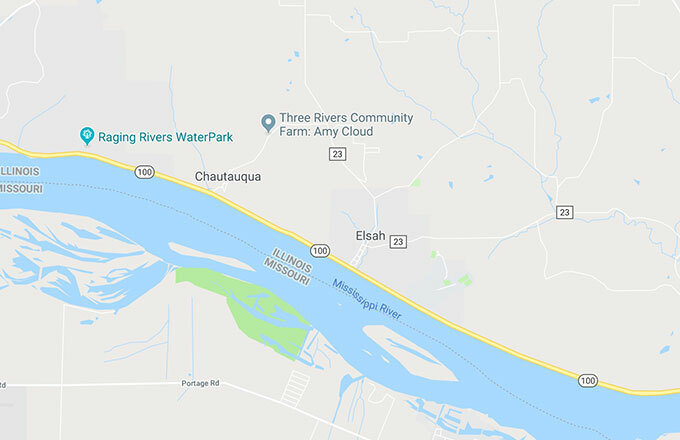 Three Rivers Community Farm is an 8 acre produce farm nestled behind the historic town of Elsah, IL, just a 10 minute drive north from Alton on the River Road. 2019 will be our 13th season. Thanks to all our loyal CSA members and farmer’s market and farm stand members that have helped make our farm a success. 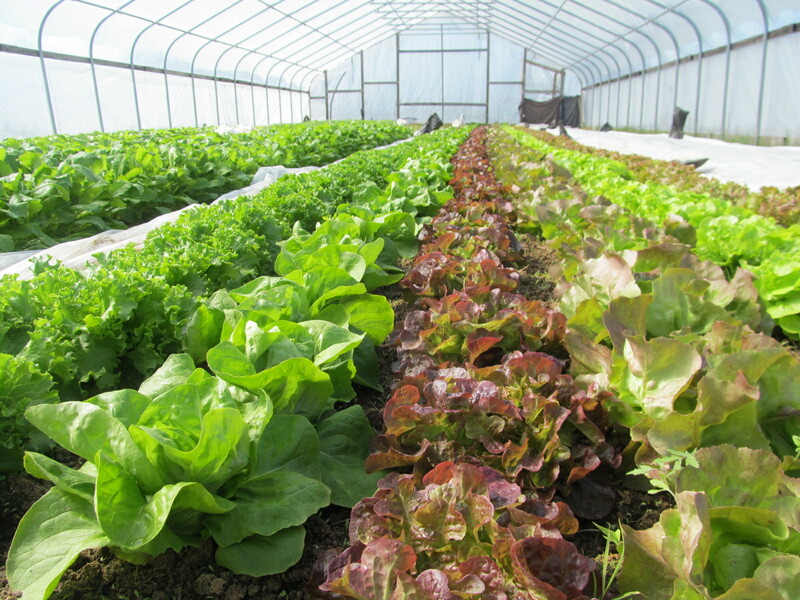 We are proud to be one of the oldest, most established and best CSA farms in the area. 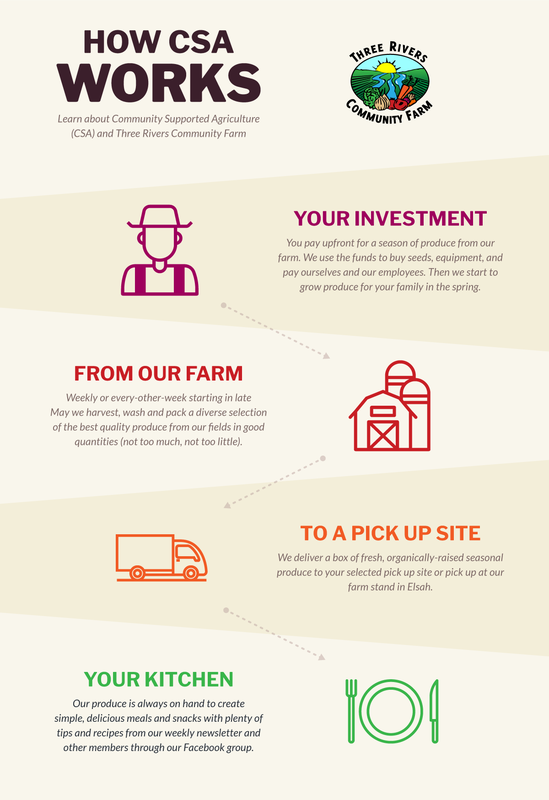 Joining our CSA is a way for you to commit to including more produce in your diet while at the same time investing in the success of our family farm. 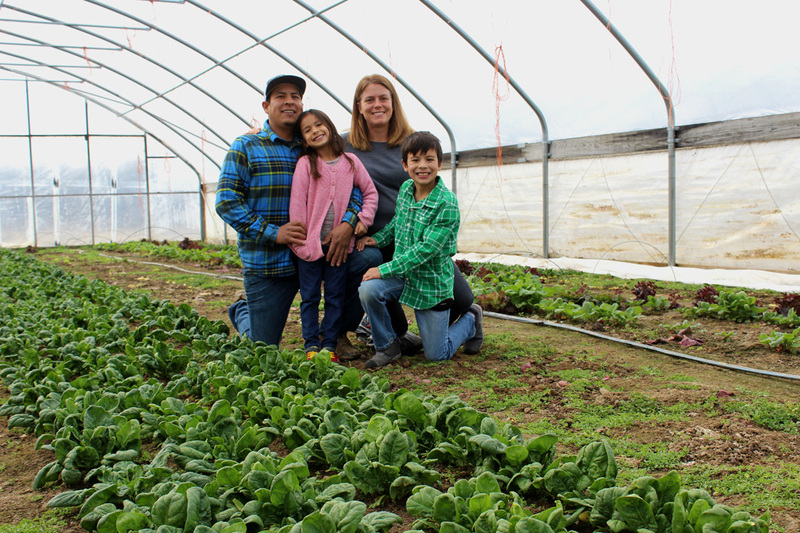 We grow all our produce with intention and care for our soils, our employees and our members. It is a joint effort to eat well, know the face and the story of the food we eat, and share in a relationship with the land and the farmers. 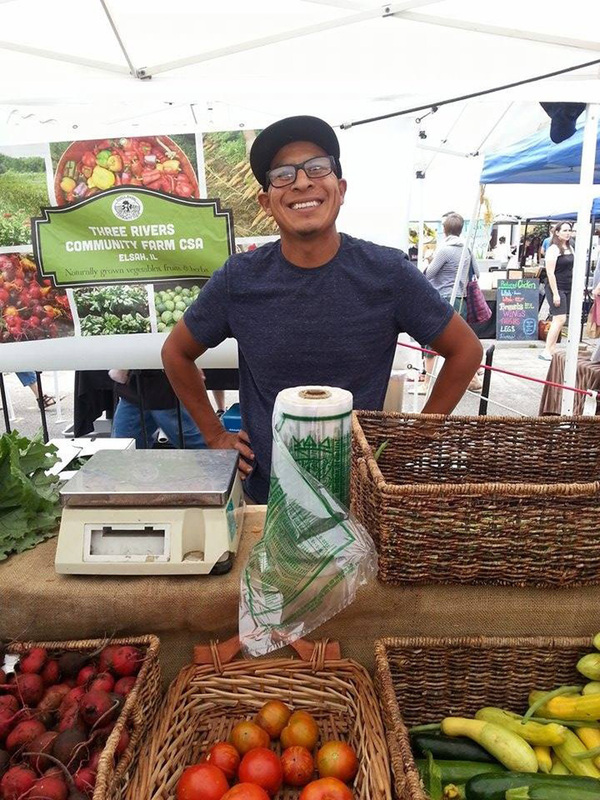 CSA members pledge financial support through their membership and in turn receive a great value in organically-grown produce and access to our wonderful farm to visit, do U-pick, and participate in farm events. Members who don’t live close to the farm can sign up for a delivery of our produce during the growing season from mid-May through October! We have several membership options; weekly, every-other-week and a flex membership (your choice of 10 boxes during the growing season), with pick up sites at the Schlafly and Tower Grove Farmers Market, in UCity and Maplewood, St. Charles, and on the Illinois side in Edwardsville and Millstadt. 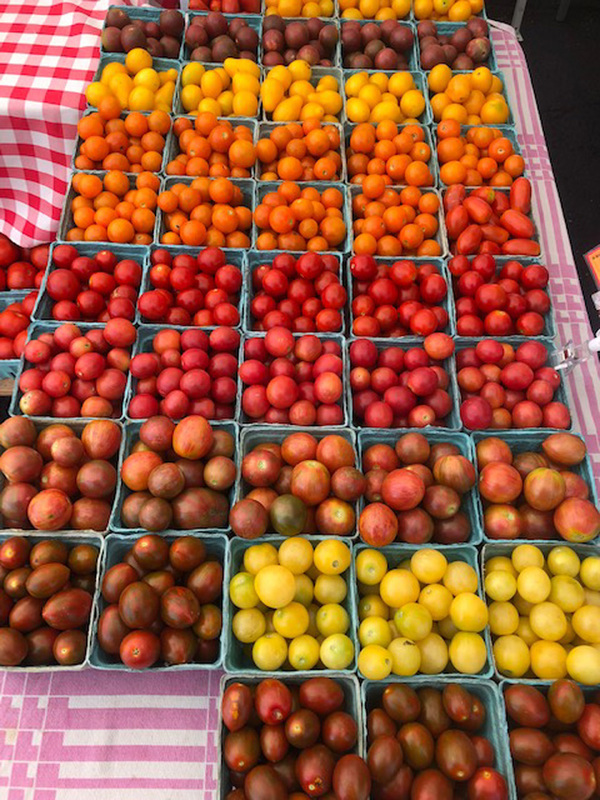 Delivery members can also add on eggs, apples and canning shares of tomatoes, pickling cucumbers, greens, etc. Our produce is harvested just a day or two before and arrives, clean, minimally packaged and in a convenient box. A weekly email newsletter with box contents, recipes, storage tips, farm photos and goings-on at the farm is included. Delivery members are encouraged to visit the farm at least once during the season for U-Pick opportunities, events and volunteer days. 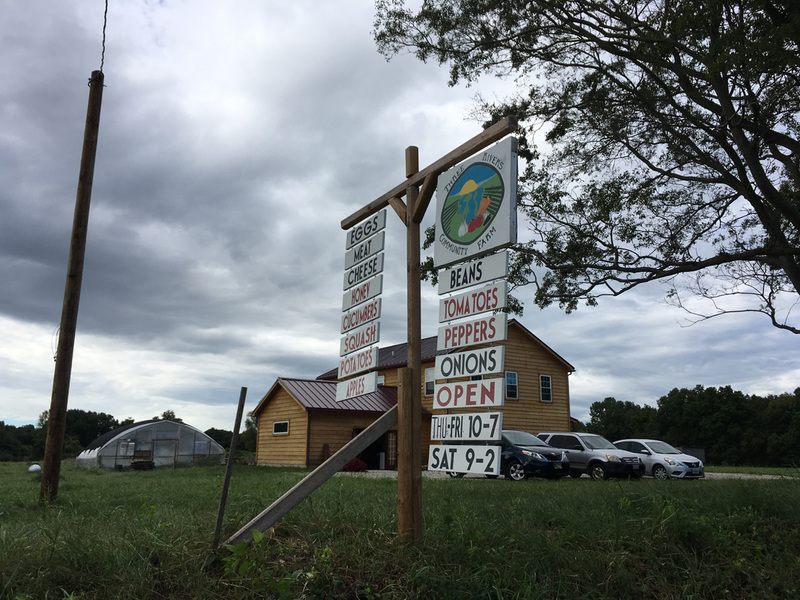 For folks who live in Elsah, Grafton, Jerseyville, Godfrey, or Alton our farmstand CSA is a market-style CSA membership, where members begin with a debit account at the farm stand and then come to the stand any day its open and purchase only the produce that you and your family use. The benefits include greater flexibility, convenience, 10% off all produce and free U-Pick. 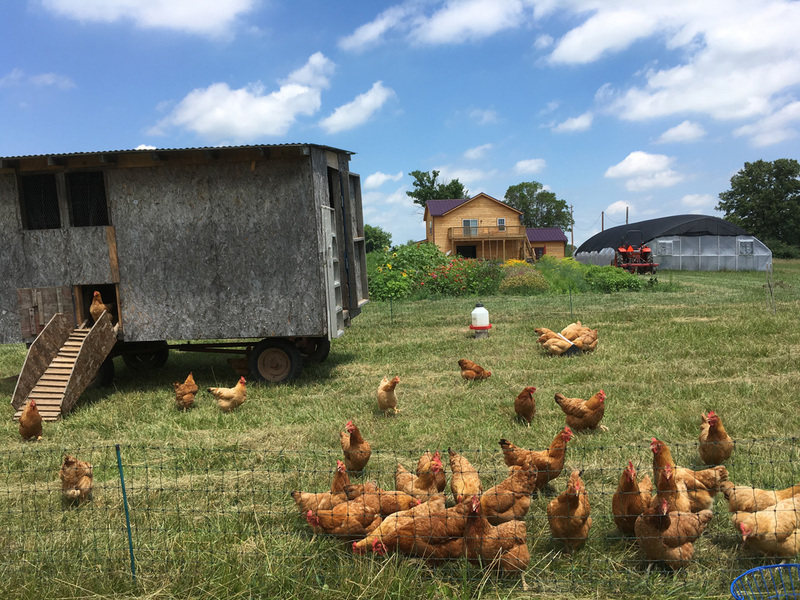 Farm stand members really enjoy visiting the chickens, picking flowers, herbs and cherry tomatoes, interacting with the farmers and having a safe, open space for their children to play and experience farm life. In addition to Three Rivers grown produce, herbs, and flowers, there is local fruit, meat, eggs, honey, and more available for purchase. 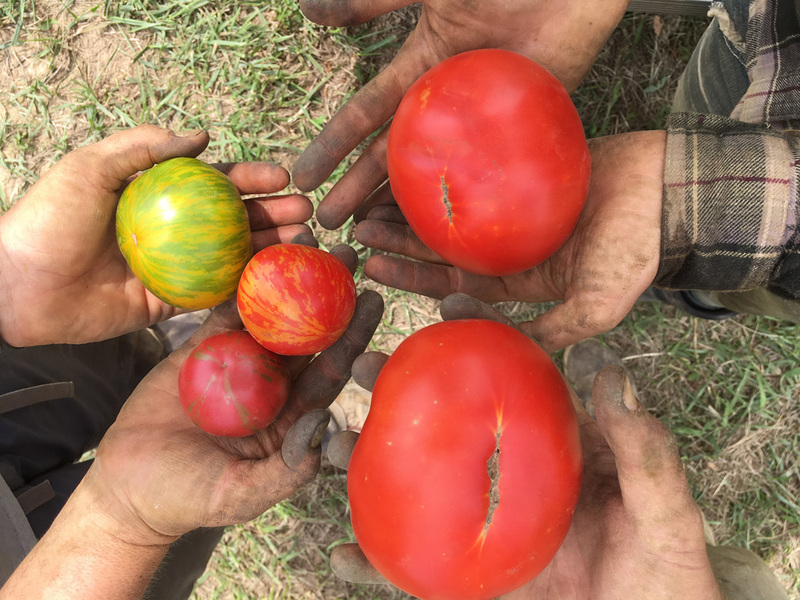 A weekly email newsletter with produce availability, recipes, storage tips, farm photos and goings-on at the farm is included. 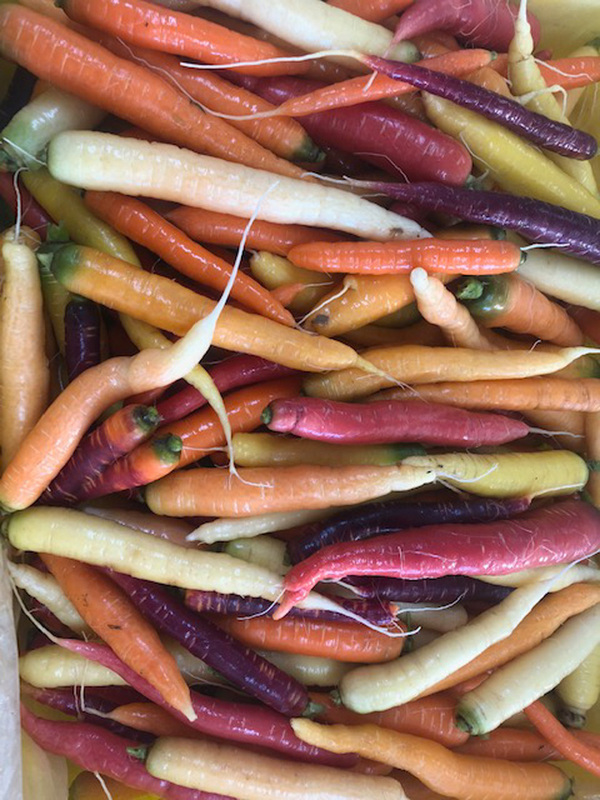 Our farm is known for our sweet carrots; colorful, flavorful varieties of lettuce; and unique mixes of cherry tomatoes and traditional slicing tomatoes. However, we grow so much more! From asparagus to zucchini, we grow it — over 45 types of vegetables and hundreds of varieties. What we don’t grow: sweet corn, orchard fruit, blueberries or raspberries. 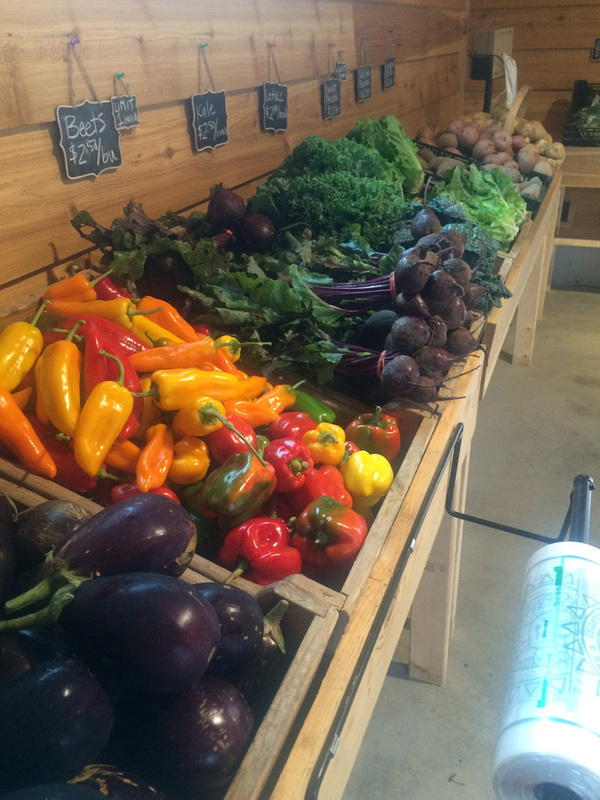 If you live on the Illinois side of the river, our farm stand in Elsah is a convenient and flexible option. The stand is open to the public–you do not need to be a member to shop. Our stand is open Thursday and Friday from 10-7 and Saturdays 9-2 starting in mid-May through October. Our very popular plant sale is the last weekend in April, both Saturday and Sunday from 9-4. 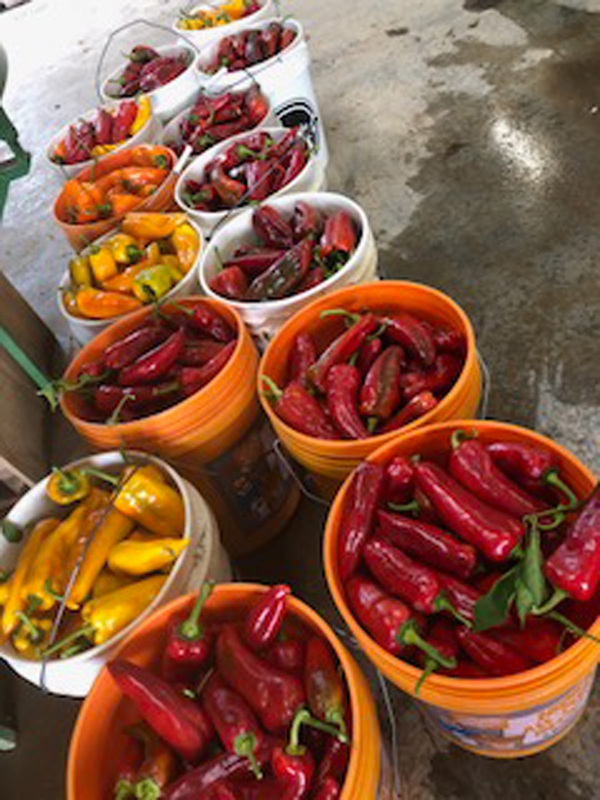 We attend the Schlafly Farmer’s Market in Maplewood on Wednesdays from 4-7PM with a diverse selection of all our produce available for purchase. On Saturday mornings from 8-1PM, you will find us at the Tower Grove Farmer’s Market inside Tower Grove park by the tennis courts. We are one of the premier vegetable vendors on Saturday at the market so come early for the best selection of our vegetables and pasture raised eggs.